Stem cell therapy uses a patient’s own stem cells to help repair damaged tissues and repair injuries. This therapy is a part of the regenerative medicine field that is rapidly growing. A few of the many things stem cell therapy is used for include reducing joint pain, increasing motion and flexibility, and treating tendon and ligament tears. At Life Health Centers, we can use stem cell therapy to help patients with their pain and chronic conditions. 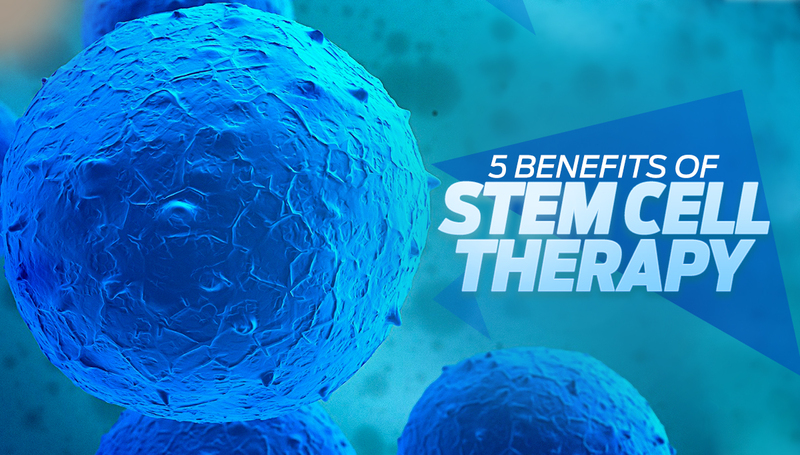 Before we explain some of the benefits of this therapy, it may be helpful to know a little bit more about stem cells in general. With so many options out there, you may be wondering what benefits choosing stem cell therapy provides. Overall, because stem cell therapy utilizes biologic material harvested directly from the patient’s body, the general benefits include minimal risk, minimal recovery time and minimal worry. Stem cell therapy is a minimally invasive, non-surgical procedure. The stem cells are harvested from the patient’s bone marrow from the iliac crest (pelvis). One of the most time consuming factors of any injury is not always the treatment itself, but actually the recovery time. With stem cell therapy, recovery time is minimal. Do you not like the way general anesthesia makes your feel? Or do you simply get anxious at the thought of being put under? Stem cell therapy may be just what you need as it does not require the use of general anesthesia. Due to using biologics extracted from the patient, there is no risk of rejection. As the cells originate within your own body, there is no risk of spreading disease from or to another person. If you feel you could benefit from stem cell therapy, contact us at Life Health Centers and we would love to provide you with more information.